How Much Does it Cost to Travel Around the World in a Private Luxury Plane? - Holy Smithereens! How Much Does it Cost to Travel Around the World in a Private Luxury Plane? Hello hello, my friends! How’s everyone’s year going so far? I can’t believe we are now on the second month of 2017! Anyway, I get a lot of press release from luxury brands on a daily basis, and only quite a few really catch my attention. I’m not sure about you, but sometimes I like to indulge in really ridiculous, outrageous travel daydreams. Well, reality after all, begins with imagination! Perhaps like me, you’ve also thought of chartering your own plane to go round-the-world? Well someone must have had the same daydream and put it to reality. And created the term ‘chartered plane’ to an insanely, ridiculously upscale level. On August 2017, Dream Maker is launching “Passport to 50” – a trip around the globe aboard a privately outfitted Boeing 767. Dream Maker is a luxury travel boutique agency that defines themselves as “designing truly experiential vacation for the ultra-affluent client who desires more than the requisite luxury”. 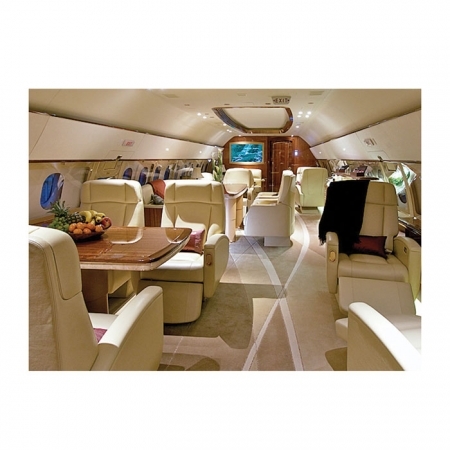 This is packaged as “A Private Jet Trip for 50 Friends Circumnavigating the Globe”. Offered at $13,875,000, the unprecedented DreamMaker experience is slated for August 2017, covering 20 cities in 20 days. That’s USD 277,500 each. Roughly AUD 361,200 per person. And what will USD 277,500 (AUD 362,200) give you? But they did say that it is “Crafted into a spinning globe atop the 50 swizzle sticks are 20 white sparklers, each representing every city landing of Passport to 50. One rare fancy blue diamond, a specialty of the diamond mining conglomerate, evokes the blue skies traversed on this trip”. A $500,000 charity poker tournament with the world’s top-ranked poker player, a fashion show, and a Master Sommelier. A myriad of ground activities which includes (but not limited to): an exceptional experience with a Commanding General and 50 of his Gurkha officers in Kathmandu; the Palio horse race in Siena; a private concert with Chris Botti under the stars in Marrakech; and diving for pearls in the South Sea. 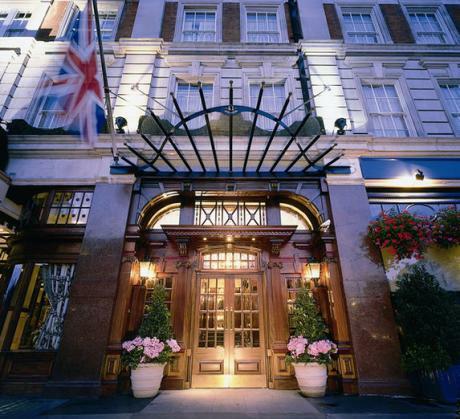 London’s Hotel 41. From 41 to 50! With all the above, there’s still room to give back. The Passport 50 Experience will also be involved in “Experiential Giving”. Such as the distribution of 2,500 bicycles to enable rural children in Cambodia to attend school, the provision of clean drinking water for 50,000 at-risk children in the Philippines, as well as building “fun centers” for 50,000 children battling life-threatening illnesses in the United Kingdom. So who’s up for it?? I honestly think that 20 days and 20 cities is way too short and hectic for AUD 362,200. 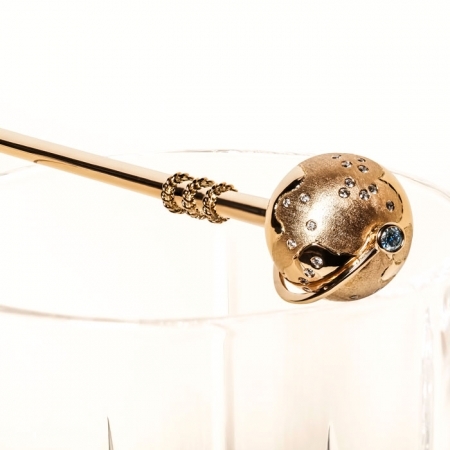 I’ll trade that sparkly diamond swizzle stick for a 3-month trip. Maybe even half a year! And the Boeing 767 is my least favourite aircraft (its first flight was in 1981, the year I was born!!). It is quite a clunky and aged aircraft, but I guess this is where the OTT flight offerings and features make up for it. BUT. When I read today that Kyle Sandilands spent AUD 253,000 for 4-5 rooms at the Beverly Wilshire Hotel for his girlfriend and her friends, Passport to 50 suddenly does not seem all that outrageous. Another thought: I may have 50 friends and family (and more) , but not all of those 50 I’d want to travel with. If I had USD 13,875,000 to spare, I’d probably buy 40 of the seats to have a real quality time! 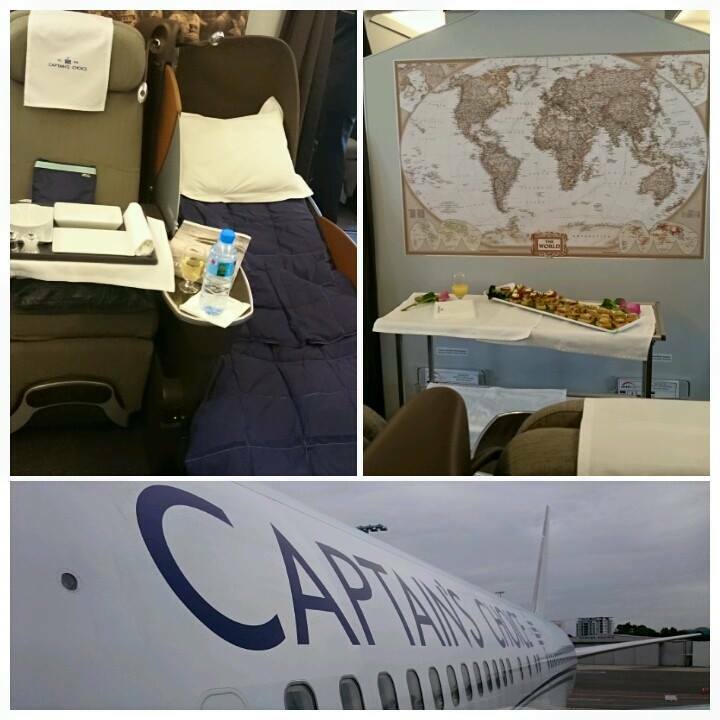 The closest I ever got to this kind of luxury was when I inspected a Captain’s Choice private round-the-world jet two years ago when it stopped in Sydney. It was, at the time, in the middle of circumnavigating around the world. What are your thoughts? Who would you take on this type of travel? What 20 cities would you include in your itinerary?